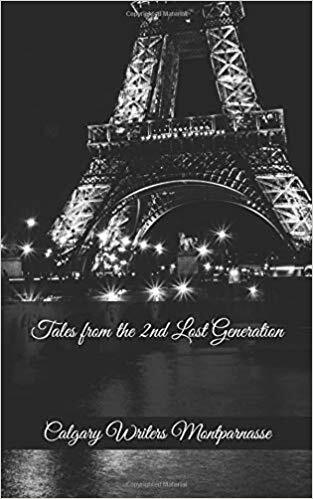 The original 'Lost Generation' was a group of American writers who lived in the Montparnasse area of Paris during the 1920's when the Bohemian lifestyle was popular. The group included such authors as F. Scott Fitzgerald, Ernest Hemingway, Gertrude Stein, Morley Callaghan and others, who met and drank in the cafes of the left bank and wrote stories that reflected the post-war culture. The term was coined by Stein but made famous by Hemingway who used it as an epitaph in his novel The Sun Also Rises. This anthology of micro flash fiction is a collection of over sixty stories created by members of Calgary Writers Montparnasse which is patterned after the original group in Paris. Tales from the 2nd Lost Generation is an anthology of more than sixty micro stories written by members of Calgary Writers Montparnasse. These flash fiction stories were generated from creative prompts of a single word or a short sentence. The reader will find these easy to read stories stimulating and thought-provoking.